Longyearbyen (literally The Longyear Town) is the largest settlement and the administrative centre of Svalbard, Norway. As of December 2015, the town had a population of 2,144. Longyearbyen is located in the Longyear Valley and on the shore of Adventfjorden, a bay of Isfjorden located on the west coast of Spitsbergen. 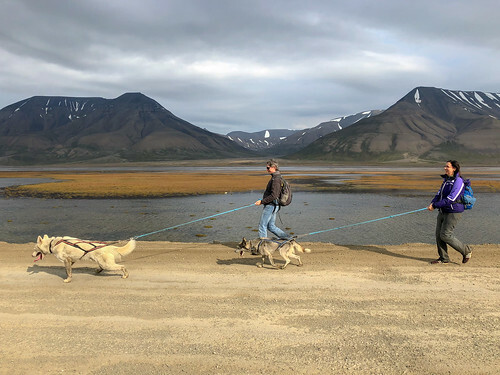 Since 2002, Longyearbyen Community Council has had many of the same responsibilities of a municipality, including utilities, education, cultural facilities, fire brigade, roads and ports. The town is the seat of the Governor of Svalbard. It is the world's northernmost settlement of any kind with more than 1,000 permanent residents. Known as Longyear City until 1926, the town was established by and named after John Munro Longyear, whose Arctic Coal Company started coal mining operations in 1906. Operations were taken over by Store Norske Spitsbergen Kulkompani (SNSK) in 1916, which still conducts mining. The town was almost completely destroyed by the German Kriegsmarine on 8 August 1943, but was rebuilt after the Second World War. Traditionally, Longyearbyen was a company town, but most mining operations have moved to Sveagruva since the 1990s, while the town has seen a large increase in tourism and research. This has seen the arrival of institutions such as the University Centre in Svalbard, the Svalbard Global Seed Vault and Svalbard Satellite Station. The community is served by Svalbard Airport and Svalbard Church.